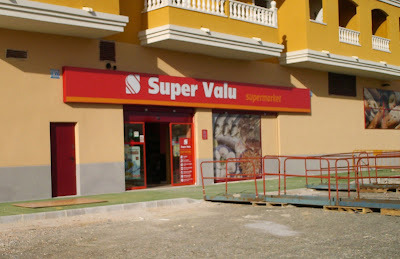 The new Supervalu supermarket opened last Thursday at Formentera del Segura on the main road near the Brisas del Mar and golf developments. It is quite a large store with fresh fish, meat and deli counters and an excellent fresh fruit and vegetable section. There are also special offers that will be announced on a regular basis. It looks like there will be another store at the other end of this comercial as work men are in there at present. So we have supermarket, 3 bar/restaurants and its anybodies guess what will be at the end.